I’m guessing that everyone has used a pair of binoculars at some point in their lives, but we probably haven’t put too much thought into quality. This is most likely because we didn’t have a specific use for a pair. Of course if you’re reading this, you’ve probably decided to buy a pair and are trying to figure out what to look for. When trying to decide what brand of binoculars is right for you, a good place to start is deciding what they’ll be used for. Are you going on vacation, watching sports, nature watching or maybe a pair for the kids (as I just did)? After you’ve decided the main purpose for your purchase, let’s take a look at what to look for. Magnification: The magnification of binoculars is the number that is written with the x. if the binoculars say 8x that indicates that it magnifies the subject eight times. Therefore an object that is 800 feet away will appear as if it’s 80 feet away. Clear Aperture: The clear aperture is determined by the size of the objective lens, which is the lens located at the end the binoculars. The size of this lens is important because it determines the amount of light that enters the binoculars. The lens size is indicated by mm. Lens Coating: Lens coating is important because it reduces the amount of light reflected and allows the maximum amount of light to enter. Field of View & Field of Angle: Field of View refers to the diameter of the area seen through the glasses and is expressed in degrees. The larger the field of view the larger the area you can see. Field of Angle refers to the image formed on the eyepiece for your pupil to see. A few other things to consider are based upon usage. 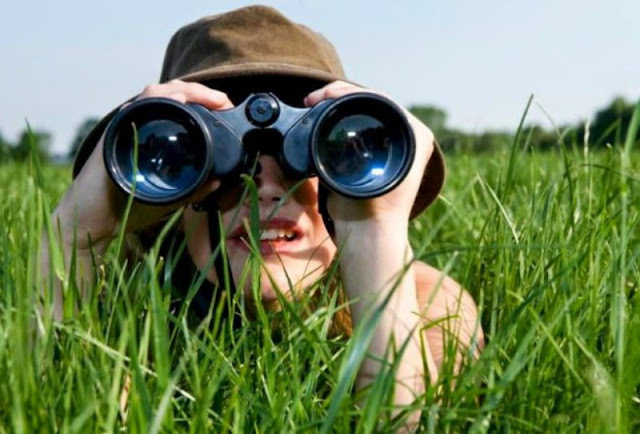 For example, if you’re going to be using your binoculars in damp conditions such as on a boat or even just the great outdoors you may want to look for a pair that’s water-resistant. Weight is another factor to consider, as well as Eye Relief. I recently got a pair of binoculars, from B3Xtra, for my niece. This pair is designed specifically for children. So the features that I considered were slightly different then features I would consider for myself. 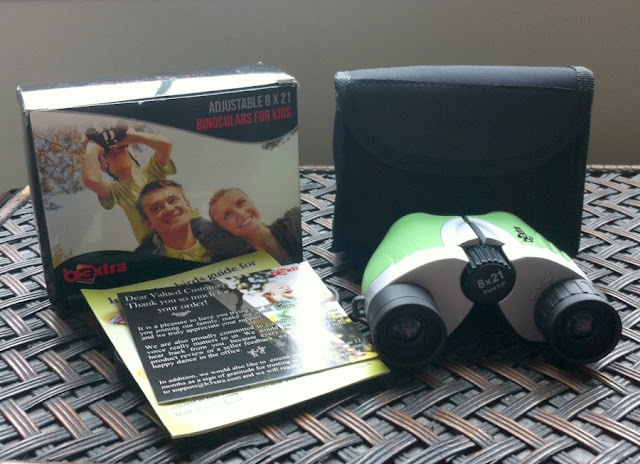 The B3xtra Kids Binoculars are first and foremost, shockproof. Yes, an important feature for little ones. They are ergonomically designed for comfort and lightweight. They are also a REAL pair of binoculars, as I wanted my niece to truly be able to participate in our nature watching. So if you’re in the market for a pair of cost-effective children’s binoculars, I highly recommend this pair! Check out my YouTube video for an up close look! You can get your kids a pair of the B3xtra Kids Binoculars for $22.47, although I believe that they are currently on sale with a $4 coupon meaning the price could be as low as $18.47! These binoculars are available on Amazon.